Neuronal recycling exploits this wellspring of potent powers. If one wants to get a human brain to do task Y despite it not having evolved to efficiently carry out task Y, then a key point is not to forcefully twist the brain to do Y. Like all animal brains, human brains are not general-purpose universal learning machines, but, instead, are intricately structured suites of instincts optimized for the environments in which they evolved. To harness our brains, we want to let the brain’s brilliant mechanisms run as intended—i.e., not to be twisted. Rather, the strategy is to twist Y into a shape that the brain does know how to process. But how do I know this is feasible? This tactic may use the immensely powerful gifts that natural selection gave us, but what if harnessing these powers is currently far beyond us? How do we find the right innate power for any given task? And how are we to know how to adapt that task so as to be just right for the human brain’s inflexible mechanisms? I don’t want to pretend that answers to these questions are easy—they are not. Nevertheless, there is a very good reason to be optimistic that the next stage of human will come via the form of adaptive harnessing, rather than direct technological enhancement: It has already happened. Changizi is clearly on to something. Reworking the brain to increase efficiency, boost its powers, and give it novel capacities is a sound idea. But why oh why do so many specialists like Changizi ignore the impact of converging technologies? Adaptive harnessing will most likely be done in concert with other types of cognitive enhancements, including genetic, pharmaceutical, and artificial intelligent applications. And it's not as far off as he'd have us believe. More on "Humans, Version 3.0." By the way, this is the 2,000th post on Sentient Developments! Thanks to all of you who have supported me over the years. The new machine, which costs around $200,000, has been developed by Organovo, a company in San Diego that specialises in regenerative medicine, and Invetech, an engineering and automation firm in Melbourne, Australia. One of Organovo’s founders, Gabor Forgacs of the University of Missouri, developed the prototype on which the new 3D bio-printer is based. The first production models will soon be delivered to research groups which, like Dr Forgacs’s, are studying ways to produce tissue and organs for repair and replacement. At present much of this work is done by hand or by adapting existing instruments and devices. To start with, only simple tissues, such as skin, muscle and short stretches of blood vessels, will be made, says Keith Murphy, Organovo’s chief executive, and these will be for research purposes. 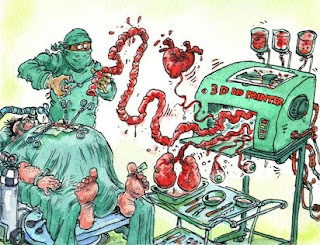 Mr Murphy says, however, that the company expects that within five years, once clinical trials are complete, the printers will produce blood vessels for use as grafts in bypass surgery. With more research it should be possible to produce bigger, more complex body parts. Because the machines have the ability to make branched tubes, the technology could, for example, be used to create the networks of blood vessels needed to sustain larger printed organs, like kidneys, livers and hearts. A number of years ago I visited Sea World in Orlando, Florida. The experience proved to be a formative one, as it would mark the last time I would ever visit an aquatic theme park. What I saw there at the dolphin show that day shattered all illusions I had about the treatment of dolphins at these parks, while at the same time demonstrating to me the obvious ways in which they can express their individuality and intentions—and how this is conveniently ignored by us in ways that are completely self-serving. The show got off to a rocky start. As the cheesy performance music blared through the loudspeakers, the trainers enthusiastically marched to the stage and assumed their positions. They blew their high-pitched whistles and waited for the dolphins to do their part. But the dolphins ignored the cue. They swam nervously in their holding tank, circling and circling. The trainers tried again, but the dolphins remained steadfast. They weren't going anywhere. So, the trainers stopped the show and addressed the audience. We were told that, as a hierarchical species, the leaders of the troop were preventing the rest of the dolphins from partaking in the show. The reason, they suspected, was on account of a looming storm. Indeed, hurricane Ernesto was slated to hit the region in the next 24 hours, and it's likely that the dolphins, sensing the low pressure system, were in a state of agitation. The last thing they wanted to do at that moment was to follow commands and perform tricks. Unfazed, the trainers said they weren't about to let the dolphins have their way and that they were going to try and try again until they performed the show as expected. Once again, the trainers marched to their stations and the cheesy music began anew. After another short delay, the dolphins finally decided to take part. But I have to say, it was the most half-assed effort I've ever seen put on by dolphins. They consistently missed their cues and went about their jumps and tricks as if they were just going through the motions. What was happening was blatantly obvious to anyone paying attention: Their hearts were simply not into it. As I sat there watching this spectacle, I started to feel ill, and I suddenly regretted coming to the park. I was hit hit with a glaringly obvious realization. Indeed, we are making these highly intelligent and emotional animals perform tricks against their will. They are confined to ridiculously small tanks and expected to perform on cue—and should they refuse, they're beaten back to submission by an unrelenting crew of trainers who simply won't take no for an answer—even if it's in front of a live audience. 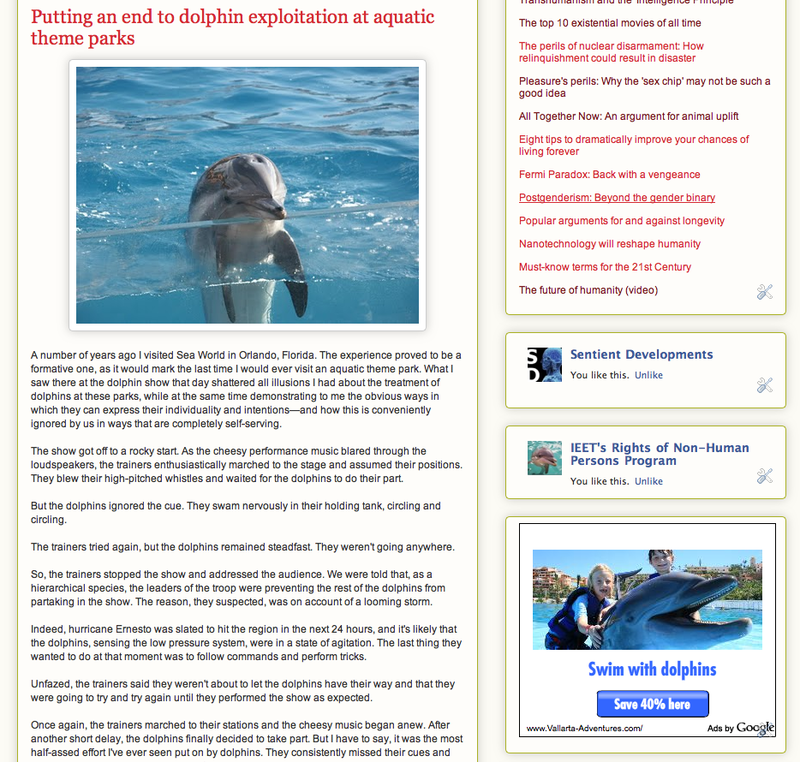 Now, I realize that the dolphin show brings a lot of money to these parks—but the dolphin tank has got to go. It's cruelty through and through. 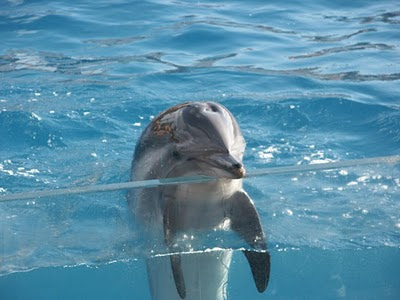 As nonhuman persons, dolphins need to be protected from these kinds of abuses. They are not ours to play with. We have no right to compel dolphins to entertain us. They deserve better than that. Moreover, we have no right to contain them in this way. Dolphins need to swim. In fact, in the wild, dolphins swim an average of 65 to 85 kilometers per day. The tanks at these theme parks must feel intensely claustrophobic to them. It's torturous. And as I learned on that day at Sea World, dolphins are also capable of expressing their discontent. They can show us when they're not happy and they can express their will. We need to start paying attention and put aside our petty desire to watch dolphins jump through hoops. It's time to stop this kind of animal exploitation. Check out the IEET's Rights of Non-Human Persons program to learn more. It had to come to this. Now the "viral" infographics has engulfed us so much we cannot longer communicate a simple fact without some sort of Photoshop-crazy or weirdly-angled, textual chart (wonder-o-wonder, where do I get these examples from? 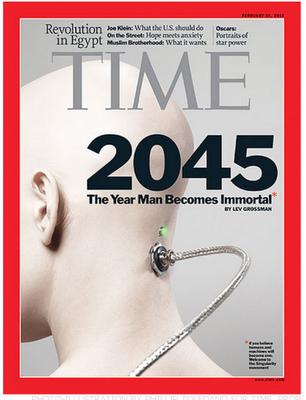 ), the next frontier seems to become the world of the quantified self. And of course, the first people to adopt self-tracking viz for viral purposes are always the coolest of the bunch: mobile communications company Nokia and snowboard manufacturer Burton recently joined forces and hooked up a snowboarder to a powerful smartphone and a series of custom sensors in order to capture 5 different measurements during a snowboard run: speed, the 3D orientation of the board, feet pressure, heart rate and physiological rush (i.e. galvanic skin response). Nokia and Burton now invite people to "interpret" this data in a creative way, ranging from unique visualizations to original installations that are triggered by the data. Their goal is to show the winning entries at the Burton US Open in March. As any common data geek is also a star on the black-labeled snow slopes, winners will receive VIP tickets, plus accommodation and travel. For anyone who happens to live far, far away from Stratton, US, and has a bunch of free time around the middle of March, this seems like a sweet deal. Note that the submission deadline is 21 February! 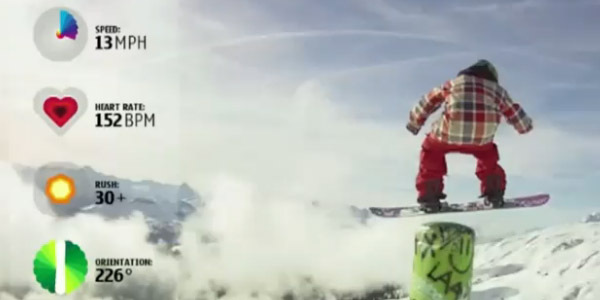 Others can wait until they release all the required information to develop and make your own data-augmented snowboard. Be sure to follow the link and check out the embedded videos. Wired is reporting on an interesting paper about cutting edge dolphin communications studies and how this research may eventually assist in SETI endeavors. In the past SETI has focused on the reception and deciphering of radio signals from potential remote civilizations. It is conceivable that real-time contact and interaction with a social intelligence may occur in the future. A serious look at the development of relationship, and deciphering of communication signals within and between a non-terrestrial, non-primate sentient species is relevant. 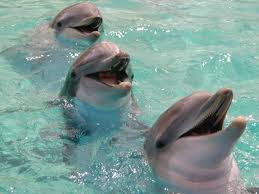 Since 1985 a resident community of free-ranging Atlantic spotted dolphins has been observed regularly in the Bahamas. 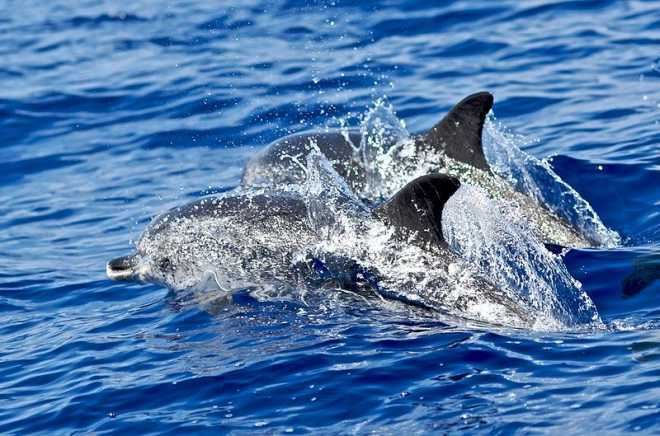 Life history, relationships, regular interspecific interactions with bottlenose dolphins, and multi-modal underwater communication signals have been documented. Dolphins display social communication signals modified for water, their body types, and sensory systems. Like anthropologists, human researchers engage in benign observation in the water and interact with these dolphins to develop rapport and trust. Many individual dolphins have been known for over 20 years. Learning the culturally appropriate etiquette has been important in the relationship with this alien society. To engage humans in interaction the dolphins often initiate spontaneous displays, mimicry, imitation, and synchrony. These elements may be emergent/universal features of one intelligent species contacting another for the intention of initiating interaction. This should be a consideration for real-time contact and interaction for future SETI work. My aren't we all excited these days about the power of social networking, particularly in its apparent ability to literally topple governments. Recent events in Tunisia and Egypt have left a good number of people believing that Twitter and Facebook were the defining factors behind the fall of the despotic regimes. Yeah, well, that's kinda not what happened. Look, I'm not about to deny the power of these platforms to disseminate information. Clearly they had an impact on the public's ability to bond together and rally behind a worthwhile cause. But last time I checked, a good number of previous revolutions managed to happen without the internet. Funny that. How'd they manage to pull that off without iPhones and TweetDeck? Okay, here's the deal: The fall of any regime is contingent on a number of factors—but access to information is a relatively irrelevant variable. The 'rise up' meme can spread through a number of different channels and at varying rates, and given dire circumstances and a desperate populace, it most certainly will. For revolutions to work, however, there has to be (1) a reason behind the uprising, (2) a population willing to go the distance, and (3) a government largely unable or unwilling to manage the situation. In the case of Tunisia, for example, Mohamed Bouazizi's self-immolation was the immediate powder keg that set off a population largely stressed out by poor economic conditions, including rising food prices. That's it right there in a nutshell. 140 character limits had nothing to do with it. In turn, the success of the Tunisians was clearly an inspiration for the Egyptians who were suffering under similar circumstances. As for the population's resolve, I'm certain that the solidarity and passion that was felt was accentuated by the social networking aspect. No doubt. But ultimately, for that resolve to flourish and strengthen over the long haul, there has to be underlying stress factors. And with or without social networking, it's the response of the government that almost always determines the course of a popular uprising. 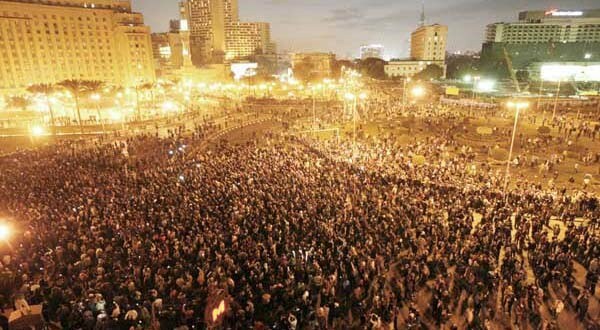 In the case of Egypt, while it appeared that Hosni Mubarak had control of the military at all times, he willingly chose not to suppress the uprising with violent action. Ultimately, it was this restraint that led to his overthrow. The same cannot be said for some other countries that have faced (or are currently facing) popular uprisings. Take China in 1989 for example. Does anyone seriously think that social networking would have prevented the Chinese military from unleashing machine gun fire on those students? Or that the protests would have continued afterwards? Then there's Iran. Twenty months ago the country was littered with protesters who were in the possession of social networking tools. Yes, the sharing of information most certainly added fuel to the fire, but ultimately the uprising failed. Why? Because the Iranian government is more willing than others to brutalize its people. Moreover, the social networking aspect has unquestioningly backfired; it's almost certain that thousands of protesters who exposed themselves through these channels were later jailed and likely executed. If the current protests in Iran or anywhere else are to succeed, it won't be on account of social networks. It will be because the populace simply refuses to tolerate their conditions, and that their resolve is stronger than the force it's up against. Which would be pretty much now. "Watson absolutely surprises me. People say: 'Why did it get that one wrong?' I don't know. 'Why did it get that one right?' I don't know." Essentially, the IBM team came up with a whole whack of fancy algorithms and shoved them into Watson. 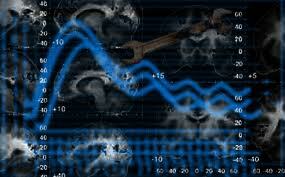 But they didn't know how these formulas would work in concert with each other and result in emergent effects (i.e. computational cognitive complexity). The result is the seemingly intangible, and not always coherent, way in which Watson gets questions right—and the ways in which it gets questions wrong. As Watson has revealed, when it errs it errs really badly. This kind of freaks me out a little. When asking computers questions that we don't know the answers to, we aren't going to know beyond a shadow of a doubt when a system like Watson is right or wrong. Because we don't know the answer ourselves, and because we don't necessarily know how the computer got the answer, we are going to have to take a tremendous leap of faith that it got it right when the answer seems even remotely plausible. Looking even further ahead, it's becoming painfully obvious that any complex system that is even remotely superior (or simply different) relative to human cognition will be largely unpredictable. This doesn't bode well for our attempts to engineer safe, comprehensible and controllable super artificial intelligence. Please join and "Like" the newly created Facebook page for the IEET's Rights of Non-Human Persons program. What are the criteria for personhood? And why should these capacities matter and/or confer a higher degree of moral consideration? When it comes to human-level rights and protections, what exactly are we talking about? What aren't we talking about? How do we actually go about changing the laws? There are obviously many more questions to ask, but this should give you an idea of some of our launching points. Looking at the big picture, I'd like to see it such that all nonhuman persons are protected from such things as torture, experimentation, slavery, confinement, and threat of unnatural death (i.e. hunting and murder). Ideally, I'd like to see the day when elephants are no longer forced to perform at circuses, great apes gawked upon at zoos, or dolphins confined to unacceptably small tanks at oceanariums. And so on. Essentially, the rule of thumb should be: If you wouldn't do it to a human, you shouldn't do it to a nonhuman person. Given how many species live on this planet, it's a pretty exclusive club. And I'm somewhat on the fence about the last two, but we have to perform our due diligence to ensure that these particular species get the protections we think they may deserve. It's also worth noting that this is a starting point. I suspect that more species will be added to this list over time. 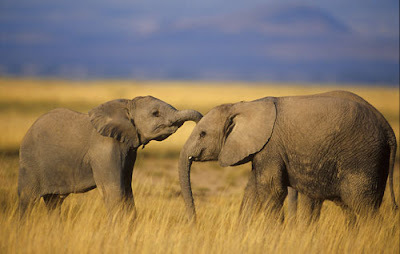 This will be an iterative process as we (1) gain public acceptance on the issue and normalize the concept of nonhuman personhood, (2) create legal precedents and enact laws, and (3) learn more about the neurology and behavior of other nonhuman person candidate species so that they can also be included. And although not a priority right now, we will also be considering the potential for nonbiological personhood. We foresee the day when an AI or brain emulation ceases to become an object of experimentation and instead becomes an agent worthy of moral consideration. We're not there yet, but we want to be ready for that eventuality. It's also important to think about realizable and tangible goals. While we have a lot of work to do—and lots of minds to change—we should strive for nothing less than the actual achievement of our mission. I'm confident we'll get there. I suspect that the initial breakthrough will see great apes protected first, followed by dolphins. We're pretty much ready to conceptualize and accept these species as being persons; it's a relatively easy sell. And from there, we'll move on the next species until we're done. Owing to advances in several fields, including the neurosciences, it is becoming increasingly obvious that the human species no longer can ignore the rights of non-human persons. A number of non-human animals, including the great apes, cetaceans (i.e. dolphins and whales), elephants, and parrots, exhibit characteristics and tendencies consistent with that of a person—traits like self-awareness, intentionality, creativity, symbolic communication, and many others. It is a moral and legal imperative that we now extend the protection of ‘human rights’ from our species to all beings with those characteristics. Feel free to contact me if you want to contribute; and join our new mailing list. Transhumanism doesn't get more mainstream than this. Not all of [the singularitarians] are Kurzweilians, not by a long chalk. There's room inside Singularitarianism for considerable diversity of opinion about what the Singularity means and when and how it will or won't happen. But Singularitarians share a worldview. They think in terms of deep time, they believe in the power of technology to shape history, they have little interest in the conventional wisdom about anything, and they cannot believe you're walking around living your life and watching TV as if the artificial-intelligence revolution were not about to erupt and change absolutely everything. They have no fear of sounding ridiculous; your ordinary citizen's distaste for apparently absurd ideas is just an example of irrational bias, and Singularitarians have no truck with irrationality. When you enter their mind-space you pass through an extreme gradient in worldview, a hard ontological shear that separates Singularitarians from the common run of humanity. Expect turbulence. Why just use solar power or wind power when you can use both? Designed by Francesco Colarossi, Giovanna Saracino and Luisa Saracino as part of an Italian design contest to re-imagine a decommissioned bridge (for which it placed second), this so-called Solar Wind concept would have solar cells embedded in the roadway (an idea that's already catching on) and an array of 26 wind turbines underneath, which the designers say could produce enough energy combined to power 15,000 homes. To make the design greener still, the designers have even included a "green promenade" that would run alongside the road, which they suggest could be used to grow fruits and vegetables that'd then be sold to folks driving by. The quantified self movement is clearly on to something: converging technologies are finally allowing people to measure, record and track their biometric information in meaningful ways. People are increasingly wanting to do this—whether it be to measure their sleep patterns or reveal the deep intricacies of their DNA. But it's not enough to just measure yourself. Left alone, this approach doesn't complete the loop. What matters is that this information be acted upon. Otherwise it's just useless data. One approach that I see arising from all of this is what I'd like to call the optimized self movement. I don't necessarily agree with the complaint that "optimized" is too nebulous and subjective a word; individual people can come up with their own definition of the term as it applies to their own sets of needs and goals. One person's version of an optimized self will vary significantly from the next person's, and that doesn't make it invalid or somehow wrong. It's all about personal campaigns driven by personal goals and values. Specifically, I imagine a future not too far from now in which handheld devices and other gadgetry will be preconfigured to monitor specific health and life style factors and make specific recommendations to users based on a predefined set of goals. For example, your handheld device (or even some kind of augmented reality display), could advise you to consume more protein if it senses that you're below your goal. It could also alert you to problems, like elevated blood pressure or glucose levels, while also advising that you avoid the cheese cake. It could remind you to take your vitamins and supplements. The potential number of trackable and actionable factors are nearly endless. We're pretty much there right now. There are already toilets in Japan that can measure sugar levels in urine, blood pressure, body fat and weight. This is the kind of thing we can expect more of in the near future. Sure, you could ignore the advice of your virtual health coach, but if you're keen on hitting your goals you're more apt to listen to it. It could even give you positive feedback and bonus points for consistently hitting your daily lifestyle targets. And if you're not hitting expected performance goals, you can recalibrate and experiment with different approaches. 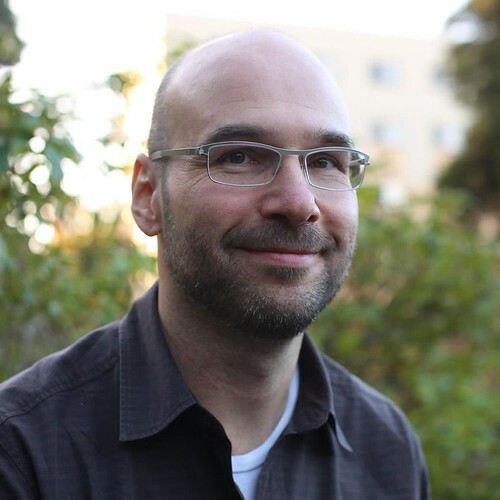 It's all measurable, so users will eventually know what works best for them. For the most part these are going to be very personal campaigns; individually, we'll be striving to maximize our genetic potential (physical, cognitive and emotional). It will also be possible to tap into the larger network and discover what's working best for other self optimizers. Personally, my inner perfectionist and health-nut finds the idea of the optimized self particularly appealing. Books like Tim Ferris's Four Hour Body show that personal improvement is part of the new geek agenda. It has suddenly become quite cool and fashionable to apply the latest science to our bodies in order to get the best results possible. 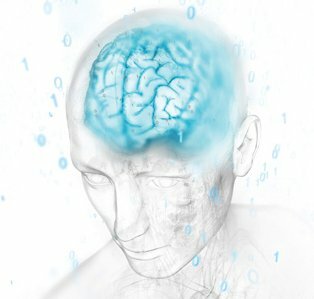 It's likely why transhumanists like myself, who are notorious early adopters, are increasingly getting involved in not just things like the quantified self, but also activities like CrossFit and the Paleo diet, both of which which claim to produce the best results in fitness and diet respectively. I'm looking forward to seeing just how "optimized" I can get. Such a thing would be great for not just health purposes (especially life extension! 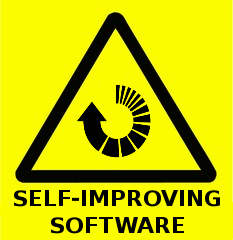 ), but it's also a worthwhile project in personal betterment and self-experimentation in general. 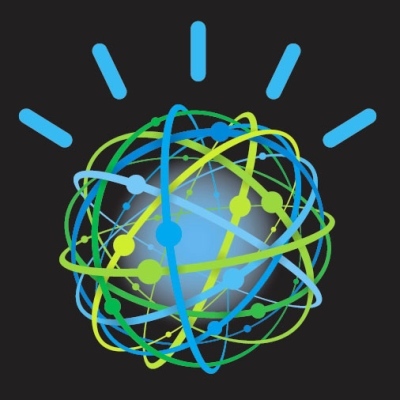 The more I think about Watson, the more I'm astounded about what IBM has done here. This isn't just some glorified answer engine. If you think about what this system has to do to get these questions right, you quickly realize that there's a lot more going on behind the scenes. 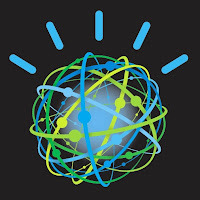 At its core, Watson is an expert answer engine that utilizes natural language processing technology. And it's probably doing it in a way that's very, very close to how the human brain does it. I'd be willing to bet that the processes behind Watson's programming is very analogous to how the human mind goes about it. Watson, which has access to a massive repository of information, has to interpret all the nuances of language—synonyms, puns, slang, and all—and quickly come up with an answer. It typically builds a list of around four to five answers, and based on a probability analysis, selects what it thinks is the most likely answer. I'm almost certain that the human mind goes about it in the exact same way. It has been suggested, for example, that the mind applies Bayesian probabilism in its calculations. Wouldn't be amazing if we eventually discover that even the algorithms are the same? If this is the case, then IBM has actually created a stand-alone module of the human brain. So, in terms of the rule based AI vesus whole brain emulation debate, you can strike this down as a victory for the former. The big difference, of course, is that Watson is not conscious. But that doesn't make a difference. You are not conscious, either, of how you process natural language, access the memory stores in your brain, and come up with an answer. Your brain does this for you behind the scenes and presents the answer to your consciousness; you're none the wiser. You only think you're clever, and that "you" came up with the answer, but in reality the unconscious mechanistic parts of your brain did all the work. Some people may complain or freak out about that, but I think it's rather cool. We're biological robots; get over it. From Amon Tobin's album, Foley Room (2007). A meme that gets bandied about by Singularity denialists is the assertion that a rogue super-artificial intelligence (SAI) won't be able to act on its desires and make a real impact on the physical world. It's just a really sophisticated computer, goes the thinking; it couldn't actually reach out and touch someone. This runs contrary to the concerns of those in the Singularity camp who are gravely concerned that an SAI will be both uncontainable and capable of manipulating physical space in a non-trivial way. I'd like to present a pair of arguments that will serve as a warning to those who would like to dismiss this possibility. The first is based on a recent technological breakthrough, the second being more of a thought experiment. RoboEarth is a system that's allowing robots to build on and learn from the experiences of other robots. Think of it as an internet for robots. 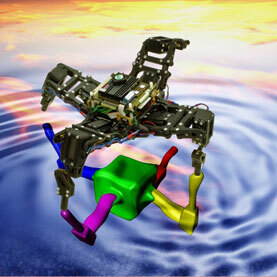 As it stands, robotics engineers have to teach their bots to navigate and function in the real world. RoboEarth, on the other hand, collects and centralizes information on objects and navigation, and in turn shares this information with other bots. What this means is that any new robot that's connected to this system will have immediate knowledge of its surroundings. If you would combine Robo Earth, with genetic algorithms that automatically design robots and 3D printing you have a very powerful combination. It would be a system that could design a robot based on its experiences, then give that robot all the information it needed to navigate the world and carry out tasks. Anyone could then 3D print this robot anywhere around the world. And the system would be one of continuous learning and itteration with better robots being made every second. We’re still very far away from this but it is these kind of ongoing developments that make me think that I live in the future. I think we should really consider the implications of this. I know, it sounds a bit sci fi and off piste. 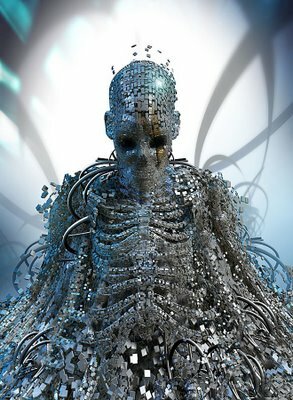 But, we will develop a Skynet at one point and we should consider the implications before we do so. The scenario I'm imagining, as I'm sure are other Singularity-concerned futurists, would see an SAI co-opt this system (or create versions of its own) and begin to fulfill its intentions through a myriad of self-designed, recursively improving, and remotely controlled agents disbursed around the world. What you're seeing in this video is a very small sampling of the kinds of molecular machinery that's capable of arising through the processes of natural selection. What you're not seeing here, however, is the space of all possible molecular machinery that's capable of arising through intentional design. And what you're definitely not seeing here is the space of all possible molecular machinery that's capable of arising through intentional super-intelligent design. The kinds of molecular machinery that we're familiar with has come about solely for the purpose of maintaining and propagating complex organisms. We're only beginning to imagine the kinds of molecular-scale processes and devices that might be designed to perform other kinds of functions; the design space is massive. And this is where an SAI comes in. It's easy to imagine a system similar to RoboEarth in which an SAI can design and disburse both macro and micro scale devices. The only limitations facing such a system would be inherent energy and material constraints, other human or SAI-driven countermeasures, and the laws of physics itself. Okay, what exactly am I imagining? Given free reign, an SAI could potentially re-arrange all matter on the planet. One possibility is that it could turn the Earth into computronium or anything else it wants. Or, it could remove all toxins and other pollutants from the surface and atmosphere. It could turn the planet into a Venusian hell, or a verdant Utopian paradise. Whatever. In all honestly, I can't even really begin to speculate without knowing the intentionality of a Singularity-surviving intelligence. 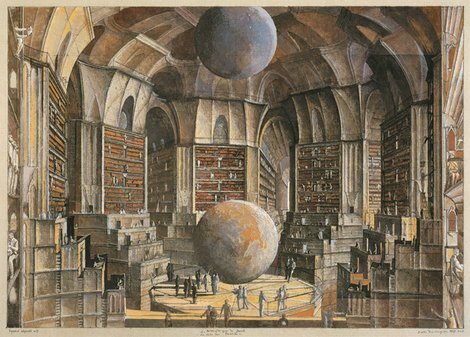 But suffice to say the scope of its impact on the material world needn't be subtle. For those of us engaged in foresight activities, the risk is in thinking too small on this matter—or in denying it altogether. Not to sound cynical, but I’m guessing that Lyndon Baty’s use of Vgo is just another part of that marketing plan. I’m totally fine with that, by the way. Giving a child (and a school district) a reasonable solution for a terrible predicament is great. If it comes with a moderate price tag, so be it. So, while Lyndon’s personal story of perseverance and increasing freedom is exceptional, the underlying technological implications are pretty mundane: telepresence is gearing up to try to make a big splash in the market. We’ve seen plenty of indications of this. South Korea is testing telerobots in their schools. They could have one of these devices in every kindergarten classroom by 2013. Researchers in Japan are experimenting with robots aimed towards emotional connections (with mixed results). As we said above, Anybots has their own platform on the market already. iRobot recently unveiled a prototype robotic platform that would transform any teleconference-enabled tablet computer into a telerobot. I’m guessing that in the next five years, one or more of these attempts at telerobotics is going to actually gain some traction and start moving some serious product. Education may be a natural market. As we learned from Fred Nikgohar, head of telerobotics firm RoboDynamics, there are some big hurdles in other applications of telepresence robots. Offices value secrecy. Medical facilities worry about patient privacy. There’s a lot of bureaucracy standing in the way of widespread adoption of telerobotics. Schools have some of the same problems, but (to be perfectly honest) they also have sick kids who you can’t say no to. Or they’re run by governments who have nationalistic goals in science and technology (exemplified by South Korea). Get the price of telerobotics low enough, and we could see it expand into different niches of education including homeschooling, remote expert instructors (like the English tutors in South Korea), or online universities. In other telerobotics news, Anybots QB is now shipping.